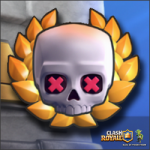 Reach Arena 9 being a 7 level player | Clash Royale fan-site! The more trophies – the higher arena. The higher arena – the faster development (bigger reward for victories and more cards in daily chests). It were axioms of Clash Royale. Thus, there is a direct interest in faster promotion from Arena to Arena. 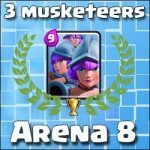 In this post, I’ll describe how I managed to earn more than 2.6k trophies and reach the ninth Arena, being only 7 level player. 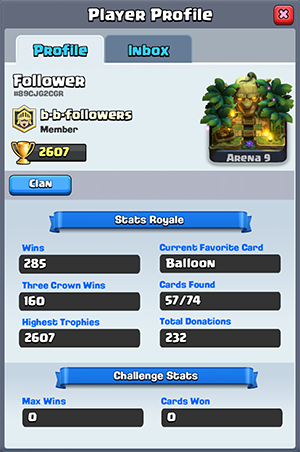 Note:If this achievement seems insignificant and easy to someone, just recall, how many players of level 7 you have met on the 9th Arena? Timely and proper use of cards according to their characteristics. Giant and Balloon. These are two main cards in the deck. The combination of these two characters is very powerful and can easily destroy at least one enemy tower. 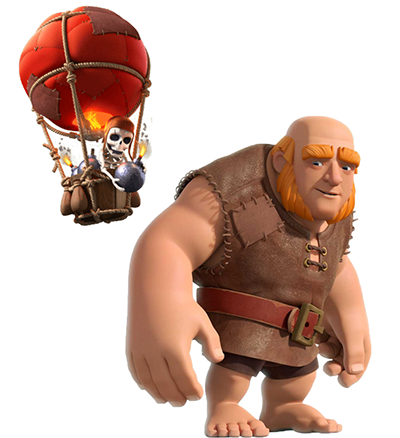 The Giant draws enemy attention while the Balloon attacks tower – this is the main idea of such combo. Valkyrie. This character is useful both in attack and in defense. With the help of Valkyrie we can easy eliminate enemy Wizard, Witch and other ground troops with low and moderate hitpoints. In attack, the Valkyrie can replace Giant. Baby Dragon. The main task is to support Giant or Balloon (or both of them) in attack. Is better in this than Minions due to higher hitpoints. Skeleton Army. This card selected into the deck for the defense purpose mainly (as a defense tool against such cards as Prince, P.E.K.K.K.A, Giant, Golem, Hog Rider, etc.). Zap. Very good, useful and cheap card in Clash Royal (costs only two drops of elixir). With the help of Zap we can easily eliminate Skeleton Army, Goblins, etc. Sometime with the help of Zap we can finish off a tower with the low health. We have two cards in the deck that attack only buildings. And its commonly known that combination of these two cards is very powerful. However, sometimes it’s better to use both of them simultaneously but on the different flanks! For example, drop the giant on the lowest part of arena near the King’s Tower (it consumes 5 drops of elixir from 10). Until he reaches the bridge, we will have full stock of elixir again. 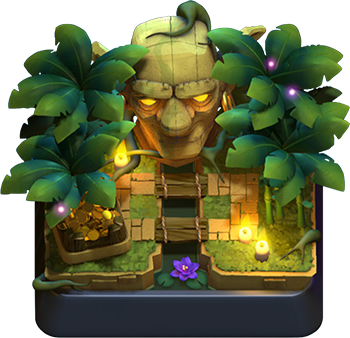 Near the bridge, drop on the arena the wizard (or some other unit) behind the Giant. Two powerful cards on the same flank will force opponent to deploy own cards for defense… And in the moment when opponent has deployed two or more cards – throw the Balloon on the other flank. As a rule, such trick is a surprise for the opponent and works great. 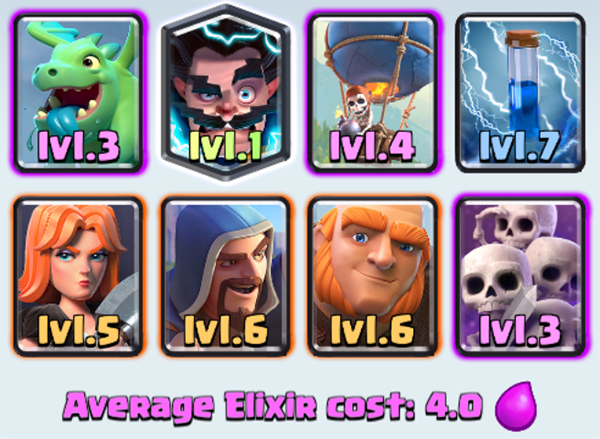 If opponent has Inferno Tower in his deck – deploy Giant and Balloon only in pair with Electro-Wizard. This character is a cool Inferno Tower and Inferno Dragon cooler. 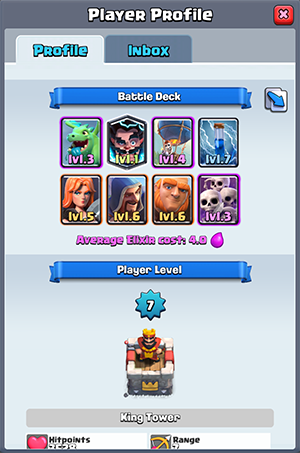 There are no tank killer card in this deck (I mean buildings such as Inferno Tower, Tesla, etc.). Thus, if opponent has Prince, P.E.K.K.A or other such type card in his deck I recommend don’t use Giant in attack and keep it for defense. For example, if to deploy Giant in front of the rushing Prince, he will switches from the tower to the giant and follow him back to the own part of Arena. Such trick gives an extra time for elixir collecting and time for towers to eliminate the danger. See you on Clash Royale arenas! 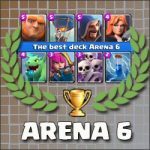 Arena 6: the best deck ever (no legendary cards)! 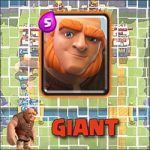 Giant – the main card on the first Arenas! Tagged Arena 8, Balloon, Decks, Giant. « Arena 9: Great deck for Golem!